A FHA loan in Missouri is one mortgage option that “Show Me State” residents are finding appealing in a variety of ways. Most of us want to someday own a home, and all of us want to get the best possible deal on our mortgages. Homes are a big investment, but often a worthwhile one. They provide a sense of security and stability that renting an apartment or a duplex can’t provide. It’s also a practical long-term investment that can pay big dividends in the future – a home is an asset whose value can appreciate over time. But home ownership is expensive and complicated – and navigating a mortgage is even moreso. This article will look at the most common type of mortgage – the Federal Housing Administration loan, or FHA loan. This article will also be dealing specifically with FHA mortgages in the state of Missouri – you will find corresponding FAQs for other states elsewhere on this site. What is an FHA Loan in Missouri? FHA loans are offered in Missouri and across the country and insured by the Federal Housing Administration, a US governmental agency. A common misconception is that these loans are actually issued by the government, but that’s incorrect – FHA loans are still issued by a private bank or lender just like conventional mortgages. What the FHA does is insure the loan – they promise to reimburse the lender if the homeowner is unable to pay the full mortgage. This is a promise backed by the US Treasury, and that protection makes lenders more willing to take a chance on an applicant. As a result, FHA loans have lower requirements in terms of income, credit score, etc. than traditional mortgages. However, they can be more expensive than a conventional loan with a large down payment, which is why they mostly appeal to applicants with low credit scores or low income. What are the different types of FHA loans in Missouri? 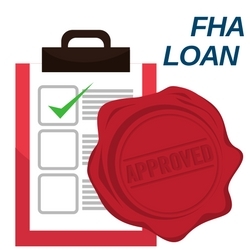 The phrase “FHA loan” usually refers to a fixed-rate mortgage insured by the FHA. But there are multiple types of FHA loans offered in the state of Missouri. Firstly, there’s the 5-year adjustable rate FHA loan option in Missouri. This is an option that is usually best for moderate or low-income families who are buying their first home. 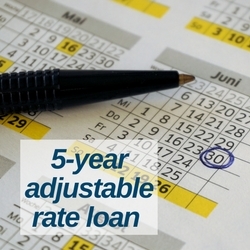 A 5-year adjustable rate loan means that the starting interest rate will be lower than the FHA fixed rate (usually 1 percent lower) and will remain at that same low rate for five years. This gives the loan recipient some time to settle in and set aside some money for the more expensive payments, but can end up costing more overall. Secondly, there’s the fixed-rate FHA loan option in Missouri. This is an option that is usually best for buyers who haven’t saved up any money for payments but want to buy a home – often newlyweds or recent graduates. A fixed-rate loan means that the interest rate will remain steady for the duration of the mortgage, and your payments will only change as the result of slight deviations in insurance (more on that later) or property taxes. Fixed-rate FHA loans in Missouri are usually put in place for a duration of 30 years. Thirdly, there’s the condominium unit FHA loan option in Missouri. This is an option that is usually best for low and moderate income applicants, because these are the homeowners most likely to benefit from owning a condominium. 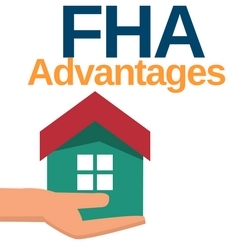 What advantages do homeowners have with an FHA loan in Missouri? FHA loans are the most popular loan in the United States, providing homes to 3.5 million Americans across the country. They make up around 30 percent of all home loans in Missouri, and it’s not hard to see why when you consider all the advantages of an FHA mortgage. Firstly, FHA loans in Missouri have a much smaller down payment than conventional loans. This is often the reason that home buyers choose FHA loans over other types of mortgages. Conventional home loans usually require a down payment equal to 20 percent of the total value of the loan. But in Missouri, an FHA mortgage often requires a down payment as low as 3.5 percent, making it a great choice for people who have steady work and can make regular payments but who have been unable to save enough beforehand for a large up-front deposit. Secondly, FHA loans in Missouri only require a credit score of 580 or higher. We will discuss this aspect of FHA loans in more detail later. Thirdly, FHA loans in Missouri have no minimum income requirement. Fourthly, FHA loans in Missouri allow much higher debt-income ratios than conventional loans. Typically FHA-partnered lenders prefer 31-40 percent D-I ratios for FHA loans, but they will often accept as high as 50 percent. As you can see, in general the requirements for FHA loan approval in Missouri are much more flexible than they are for other types of mortgages. In fact, applicants who would normally be turned down outright will often be accepted for an FHA loan. What are the disadvantages for an FHA loan? FHA loans are a great option for many home loan applicants, but they have disadvantages as well as their many attractive advantages. Firstly, FHA loan recipients in Missouri have to pay an FHA funding fee up front. To protect its investment, the Federal Housing Administration charges an initial fee that’s usually about 1.7 percent of the total mortgage. Since the down payments on an FHA loan are much lower than they are for conventional loans, this is still an initial savings, but many home buyers find it annoying. FHA loans require you to keep paying for PMI until the home has been paid off in its entirety. This means that FHA loan payments can sometimes be more expensive overall than a conventional loan, though the price will be spread out over several years and the mortgage will cost less upfront. Thirdly, interest rates are often slightly higher for an FHA loan in Missouri. Banks charge more interest on FHA loans to make up for the low down payment. In short, think of an FHA loan as having slightly larger monthly payments in exchange for a much smaller down payment. What type of properties qualify for an FHA home loan? In Missouri, townhomes, manufactured homes, single-family homes, condominium units, and multi-unit properties all qualify for FHA home loans. These properties must cost less than the maximum lending limit for an FHA loan in Missouri in 2018, which you can see described on a county-by-county basis here. 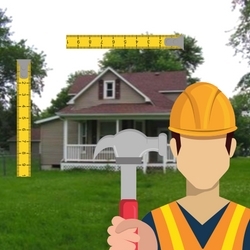 In order to be eligible for an FHA home loan, a Missouri property must also pass rigorous safety standards as determined by an appraiser from the Department of Housing and Urban Development. This might sound like a hassle, but trust us – you don’t want to invest a lot of money in a home that’s not going to be structurally sound or which will require expensive repairs on top of your loan payments. These appraisals have a 21-page checklist of items to look for, the complete text of which can be found here. To summarize: they will disqualify a home with cracks in the foundation or other structural concerns, loose handrails, holes or leaks in the roof or plumbing, low water pressure, no hot water, insufficient space, or a faulty HVAC system, among other concerns. How important is credit when applying for an FHA loan in Missouri? Any time you’re applying for any kind of loan, a credit score is going to be an important part of the application process. However, having good credit is less important for FHA loans than it is for more conventional loans. In Missouri, most lenders only require a middle credit score of 580 for an FHA mortgage but require at least 700 for a conventional mortgage. Most lenders will also want to see three open trade lines on your credit report that have been there for a minimum of 12 months. However, this credit limit is not actually set by the federal government, which only requires a credit score of at least 500. If you do some research you may find FHA-partnered moneylenders that will accept credit scores lower than the average. However, these lower credit requirements will require a higher down payment up front – so you’ll have to decide which is a bigger concern for you. Also, some lenders in the state of Missouri may allow “additional forms of credit” to take the place of a standard FICO credit score. These usually involve long-standing payments like those made to an electric company or other utility company, or possibly to a cell phone provider. Getting an FHA loan in Missouri in 2018 usually requires a credit score of 580 or higher, proof of employment for two years, and total monthly debts that are less than or equal to 43 percent of your total income. However, lenders are allowed to set their own requirements, and if you do your research you may find an FHA-partnered bank or mortgage company with different qualifications for loan applicants. How do you receive an FHA loan in Missouri? Though it’s commonly thought that FHA mortgage are actually originated by the government, this is a misconception. You will have to ask around at your local Missouri banks and mortgage lenders to see if they are approved to offer FHA loans- most likely, they will be. We recommend you “shop around” and compare multiple moneylenders to see who is offering the best deal and the most flexible requirements. Once you decide on a partnered lender, applying for an FHA loan works just like any other mortgage. A representative from the lender will check your credit score, income, debt, and more to make sure you fit the requirements listed in the last section of this article. Once you’re approved, you’re well on your way to owning a home in Missouri. What are the FHA loan rates for Missouri? Interest rates on home loans change constantly – we could give you a number for the exact date this article was written, but it might be outdated by the time you’re reading it. In fact, loan rates often change on a daily basis. Banks are responsible for setting their own loan rates and usually do so in a way that will compete with current economic trends. Ask different lenders what their rates are and try to pick one with the lowest rate possible so that you won’t have to pay as much over time. Do you have to be a first-time home buyer for an FHA loan in Missouri? No – anyone who meets the requirements can get an FHA loan in Missouri. 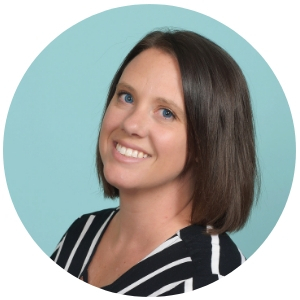 However, this is a common misconception because of the fact that first-time home buyers are usually the clients who benefit the most from an FHA mortgage. What is the maximum income limit for FHA loans? There is no maximum income limit – again, anyone who meets the minimum requirements can get an FHA loan in Missouri. However, conventional loans often cost less overall than FHA loans, so if you can afford the higher down payment you might consider that as an alternative. 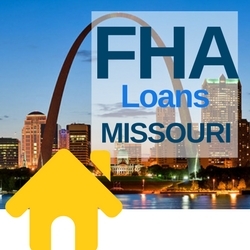 Get Pre Qualified for a Missouri FHA Loan Today – Click Here.